Samantha & Dan&apos;s story continues in Ice Girl. Very cool! I’ve always been a fan of both the fantasy and romance genres but have never really seen the elements unique to their respective genres mixed together into one story, so “Fire Girl” came as a surprise to me simply because not only is it quite original, but also executed very well due to the author’s vivid writing style – which also does a great job of setting up the scenes and environments as well as incorporating the dialogue between the characters into them. I’d say this book is aimed more at a younger audience (the main characters are teenagers, after all) but its written well enough that I’d imagine a wide variety of ages could enjoy it. One thing I also must note is how well the chemistry between Daniel and Samantha is expressed, it truly has a sense of realism to it and flows very well. Highly recommended! I received this book free for an honest review and I really enjoyed it. It was a really decent book that just sucked me into its world. I didn’t want to put it down until I read the last page and even then I wanted more. This book was a supernatural book through and through. It had witches, demons, vampires, wolf-shifters, and humans. The main characters Samantha and Daniel just make you fall in love with them. Samantha a witch in denial and Daniel a wolf-shifter forced to protect her go on a journey to find out who she really is and what she is capable of. It was a really good book with a great storyline that have great characters to back it up. I would highly recommend that anyone that wanted a decent book to read with supernatural characters this is the book for you. Fire Girl read insanely fast, for the fact that it is 385 pages long. It’s a quick, easy read. It’s a good read, but not a great one. 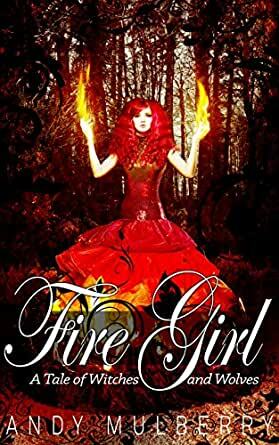 For at least the first third of the book, Fire Girl is missing the spark (not asking pardon for that pun) that turns a plot into a story. I could definitely see where the author was going, I just didn’t care about the getting there. I thoroughly enjoyed the main character’s smart mouth, but I didn’t care about any of the characters. It gives a very disjointed feeling that doesn’t allow you to lose yourself within the pages. Instead you find yourself wishing for just a bit more. I think part of the problem is that, at least to my understanding, this is a transition novel. The author is moving from middle-grade to young adult here, and hasn’t quite shed the writing style middle grade needs. What worked for middle-grade doesn’t work well for young adult reads. More room is given for introspection, world building, et cetera. However, after you hit the halfway point, you can see the writing style transition into a more appropriate form. It begins to read a lot more smoothly and, by the last quarter it’s a truly enjoyable story. The last quarter saves it, but it doesn’t make up completely for the troubles that came before it. 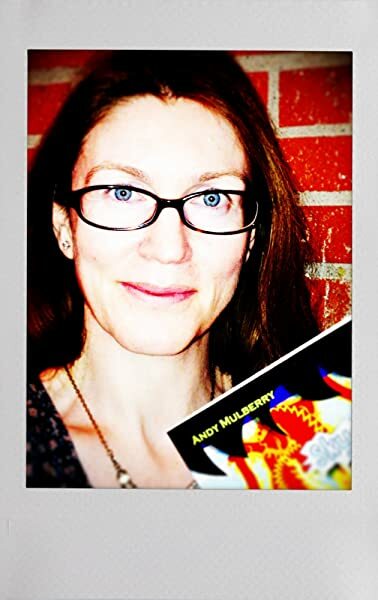 Overall, Fire Girl shows flashes of the talent I know Andy Mulberry possesses. I have no doubt that her next young adult novel will be a wonderful read. There was a refreshing lack of a love triangle in Fire Girl. The main female was sassy, but not super-powered. There was a twist at the end that I didn’t see coming. These are all great things that, if replicated in further work, will take her far. Disclaimer: I received a free copy of this book for review consideration. This book got off to a slow start for me, but I did end up really enjoying it! This author writes characters really well, making them relatable and easy to picture. I'm not able to give too much detail about the setting, as I was fairly confused by this throughout the book. While I was able to enjoy the book by filling in the blanks, I was frequently confused by the lack of adults. It was eventually explained, but I still didn't understand - is this a parallel universe? Post-apocalyptic? We have a city, the heroine lives in a semi-abandoned neighborhood on the outskirts of a city. We have vampires, werewolves, and witches. There seems to be a paranormal world within the world we know of in real life. I really needed more world building to fully enjoy and understand the story. Overall I could still visualize for the most part, but you definitely have to get your imagination going. Samantha and Daniel are our two main characters. Sam has been having some pretty strange things happen ever since she found out she's inherited property from a mother she didn't know existed. Daniel is bound to her by a spell her mother placed on him. They have a connection but don't know if it's real or just the spell. There is an evil uncle, a crazy being tied to him unwillingly, and a demon lawyer who turns out to be more important than you think. Lots of great characters who were developed very well. I felt there could definitely be another book after this. If there is, I'll be in line to grab a copy! I would recommend this to paranormal fans. It's pretty clean so good for younger teens.